Make use of our Development services and take benefit from these advantages: agile in-house development and stable IT operations in noris network’s data center. Get rid of investment risks in IT infrastructure. ERP, CRM, collaboration, shops and banking – we operate hardware and software equipment in state-of-the-art data centers and on every level. With our DevOps teams we support your agile software development and build the bridge to the operation of your IT infrastructures in our data centers. In cooperation with your internal and external developers, our DevOps teams optimize and automate the deployment pipeline. 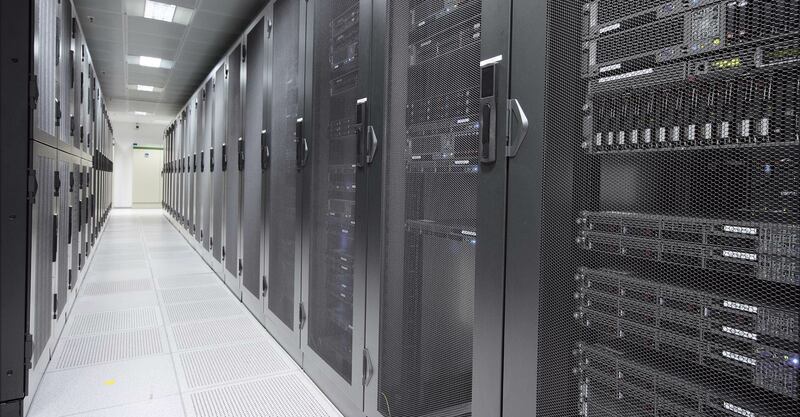 Scalable data center spaces in our own high-security data centers located in Germany, perfectly linked, and certified. Pure colocation or enriched with services – always matching your needs. Highly available vServer (virtual servers) systems running on enterprise platforms in noris network's VMware® farms offer you scalable and highly performant resources. You can expand them to create setups of any desired complexity and extend in a flexible manner. To ensure operational safety at all times, a backup is retained for all Virtual Private Servers (VPS) at a different location. With our Managed Storage Services, we provide scalable storage space on enterprise hardware with highly available storage clusters. We provide this service from location-distributed data centers and thus increase the availability of your volumes to a maximum. In 1993, noris network started as the first Internet service provider in the northern Bavaria area. This legacy still continues: our redundant and carrier-neutral data centers are linked to all major international Internet nodes via our own high-performance backbone offering a total capacity of up to 4 Tbps. This is one of the reasons why so many customers decided to have their high-frequency webshops and Internet services operated in our data centers. An advantage that may turn into your ISP! Put your IT under our protective umbrella! Our expert teams offer you market-leading security solutions that are based on our high-security infrastructure. The managed security services provided by noris network protect your data and systems at the highest level, without confronting you with economic or technological challenges. Multi-level perimeter protection, structural security design, fire protection, redundancy of all important systems up to complete site distribution - these protection standards offer you the best possible security! In the worst case, the loss of important data or longer downtimes can endanger the company's existence. With our Managed Backup Service we protect you from these consequences and offer you the possibility to secure your sensitive and important company data in our certified and highly secure data centers. Managed Backup from noris is a file system backup service that stores your data to be backed up on a highly redundant, multi-location Ceph object storage system. This ensures that accidentally deleted or lost files can be reliably restored - independent of location, even in the event of a disaster. Make use of our DevOps services and take benefit from these advantages: agile in-house development and stable IT operations in noris network’s data center.